Plastic free scouring pads are a great alternative to the traditional washing up scouring sponge, and going plastic free in the kitchen is one of the ways we can all help clean up the planet. I am trying out the LoofCo Washing Up Pad, as a way to have a plastic free washing up! Why are Plastic Scourers bad for the Environment? So you are at the sink, doing your usual washing up. You have a sponge in hand, the type with a harder plastic scouring pad on one side. Isn’t is awful when they go scraggy? Well, did you know that when using these sponges, you are washing plastic fibres down your sink? These fibres are small enough to get through the filtration systems at water treatment plants, and can end up in waterways and oceans. I bought the twin pack of LoofCo washing up pads. Made from the fibres of loofah plant, these pads are hard when dry and soften up when wet. These washing up pads will last for months, and when you are done with them they can be composted or put in your green waste bin. I found the pads to be too big to comfortably use, but this is actually an advantage. I cut pad in half, making it a much better size, and also getting four smaller washing up pads for the price of two! I also found that reducing the size made it much easier to clean out cups and mugs. For normal washing up, I found the loofa pads to be really good, just as effective as a plastic scouring pad. It did take a bit of getting used to the new texture, but it is worth doing especially as you know that no plastic is going down the sink. The loofa fibres are strong enough to scrub off food that is stuck on, and soft enough to use on non-stick pans. 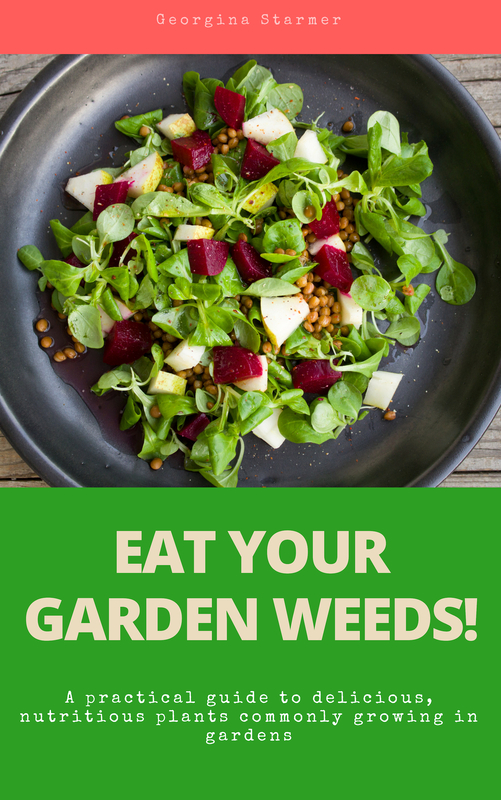 With really baked on food, like lasagne or cottage pie, leave to soak or use a metal scouring pad instead. 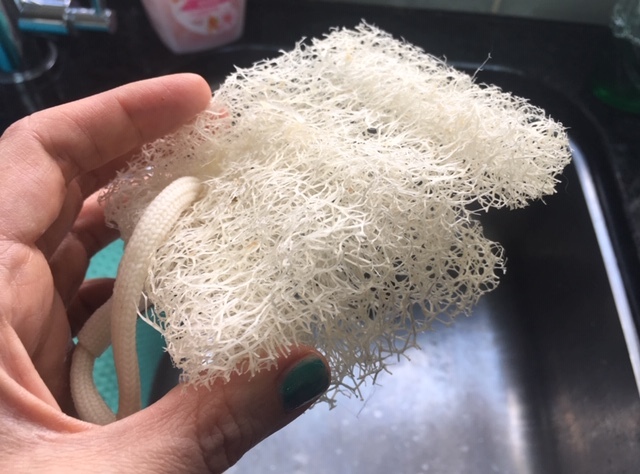 The open structure of the loofa makes it easy to clear out any stuck food, and makes it less likely for bacteria to breed, unlike man-made sponges. After using the LoofCo plastic free washing pad, just rinse with water and leave to dry. 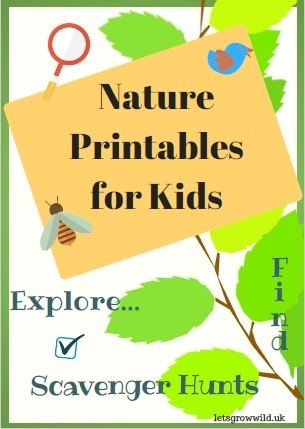 I am on a mission to reduce plastic in the home. The more I have become aware of plastic, the more I see it. Just take a quick look around your kitchen or bathroom, and you will see plastic bottles, lids, brushes, make-up and much more. I have decide to eliminate as much plastic as I can, but doing it in a realistic way. There is a lot of debate as to washing by hand is as eco-friendly as using a dishwasher, as modern dishwashers are very efficient with water use, but as I don’t have an electric dishwasher, I have to wash-up by hand. 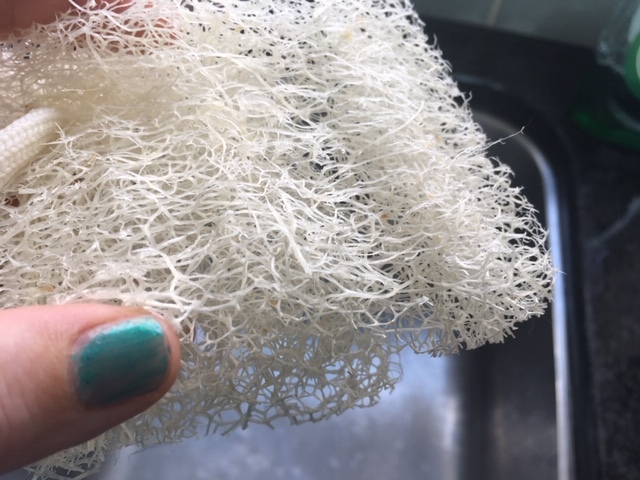 I am fed up with buying plastic sponge scourers that don’t last long, and I am determined to have a plastic free washing up system that works! These no plastic scouring pads by LoofCo have been great, and I will be buying more in the distant future when these have worn out. I also think they are great value, especially when cut in half, and will save you money on buying ‘normal’ sponges for months. Another benefit of buying LoofCo is that it helps support traditional crafts and agriculture, as well as supporting fair wages for farmers. The only bone of contention I have with LoofCo washing up pads is that while the packaging is cardboard, the whole thing can unnecessarily wrapped in a small amount of bubble wrap. A paper envelope would be fine, it is not a fragile product! However, I will be able to reuse the bubble wrap, and because these loofa pads last such a long time, I think that having a little bubble wrap is preferable to months’ worth of plastic fibres going down the sink. 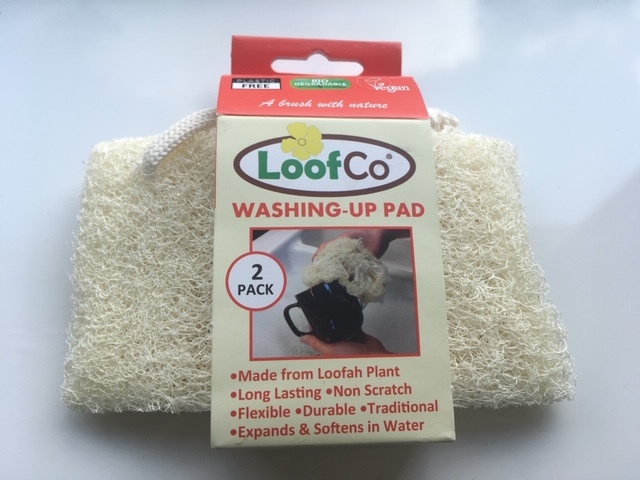 You can also buy LoofCo plastic free washing up pads from Big Green Smile. Have you found any plastic free washing up alternatives to use in the kitchen? Please share your ideas in the comments.